More than 40 national park concessioners came to Washington, D.C. in early November for a healthy food summit at the White House and a first National Park Partners Strategic Planning Session, convened jointly by the National Park Foundation, National Parks Conservation Association and National Park Hospitality Association. The November 1 White House Summit on Healthy Food in Parks involved White House Associate Chef Sam Kass, White House Domestic Policy Council staff, 20 concessioners, National Park Service (NPS) Director Jon Jarvis and others. Participants spent the afternoon talking about strategies for offering park visitors healthy, locally sourced and affordable meals – and information about healthier eating as a serendipity of their visits. That evening, concessioners hosted a reception for key park allies, NPS leaders and others. The National Park Partners Strategic Planning Session was held on November 2. The Session focused on NPS’ recently issued A Call to Action and the agency's Centennial in 2016. The three co-hosting organizations invited NPS and local park friends organizations to join them in supporting national parks and park programs. The meeting was called historic by Director Jarvis and resulted in a remarkable level of sharing and learning. The Session featured a healthy lunch designed and sponsored by Delaware North Companies Parks and Resorts, demonstrating how tasty and visually appealing 800 calories can be. The lunch reflected Delaware North’s GreenPath and Culinary Wellbeing programs. More information on the Session is below. NPHA members completed a successful day by hopping on an Old Town Trolley, courtesy of Historic Tours of America, for a locally sourced and delicious reception and dinner at Indigo Landing, a Guest Services Inc. operation on the George Washington Memorial Parkway in Alexandria, Virginia. To see the full agenda for the Strategic Planning Session, click here. To see a list of participants, click here. Top Grand Canyon National Park staff, representatives of the park’s primary concessioners (Xanterra, Delaware North Companies and Forever Resorts) and the Grand Canyon Association met for much of November 3 to discuss three proposed creative projects: 1) new efforts to fund centennial projects and programs through a restricted fund administered by the National Park Foundation, using special donations by concessioners connected with off-season programs; 2) an expanded guest donation program; and 3) concessioner sales of annual America the Beautiful passes as part of the reservation process. Plans are proceeding on all three proposals. For additional information on the proposals, click here, here and here. Three key national park partner organizations joined to hold a first-ever Strategic Planning Session on November 1-2 which attracted more than 125 top National Park Service (NPS) leaders, conservationists, concessioners and park friends and fundraisers. The planning session was the first of two jointly hosted meetings. The second will be America’s Summit on National Parks, scheduled for January 24-26, 2012, in Washington, D.C. Both meetings focus on NPS’ A Call to Action and planning for the 100th anniversary of the agency in 2016. The three organizations are the National Park Foundation, National Parks Conservation Association and National Park Hospitality Association. In addition to key members and staff from the groups, the Strategic Planning Session participants included leaders from top national park friends organizations and nearly 30 NPS officials, including Director Jon Jarvis, Deputy Director Mickey Fearn and other members of the agency’s National Leadership Council. The Session charged the three hosting organizations with several tasks prior to the January Summit, including preparation of a Statement of Principles for adoption by all park supporters, planning for a campaign to help all Americans see the value of parks, and actions to expand the diversity of park visitors. For a more in-depth report on the Strategic Planning Session, click here. America’s Summit on National Parks is an invitation-only event that will unite traditional park champions with new supporters from the health, education and tourism communities. The Summit will include top national and bipartisan political figures from the Congress, from the current and past Administrations, and other national leaders. A major theme will be the role of parks in the nation’s economy. For more information on the Summit, click here and contact Julia Mitchell at jmitchell@funoutdoors.com. President Barack Obama designated the 396th unit of the National Park System on November 1, using Antiquities Act authority. Fort Monroe National Monument in Virginia’s Tidewater region is a historic fort and steeped in the history of slavery, the Civil War, and the U.S. military. Fort Monroe has played a strategic coastal defensive position since the early days of the Virginia Colony. The fort remained in Union possession during the Civil War and became a refuge for escaped slaves. Fort Monroe Commander General Benjamin Butler’s “Contraband Decision” in 1861 provided a pathway to freedom for thousands of enslaved people during the Civil War and helped catalyze President Abraham Lincoln’s Emancipation Proclamation of 1863. President Obama’s action was strongly supported by Virginia’s Republican Governor Bob McDonnell and the state’s bipartisan Congressional delegation. The former military base will rely on partnership efforts for development and operation. Fort Monroe is also one of 101 projects that have been highlighted as part of the America’s Great Outdoors initiative. For a complete list of AGO projects nationwide, please click here. To read the NPS news release on Fort Monroe’s designation, please click here. Captain Charles Higgins, Director of the NPS Office of Public Health, released the NPS Healthy Parks Healthy People U.S. Strategic Action Plan (click to see). The plan was approved by NPS Director Jarvis. The plan draws a vision and blueprint for NPS to join in the worldwide Healthy Parks Healthy People movement, and provides a strategic framework that recognizes the unique role of parks and public lands in contributing to the health and well-being of all species and the planet we share. The plan is based on collaboration, innovation and partnership. NPS welcomes partner involvement in helping make these plans a reality. As Captain Higgins notes, partners are invited to contribute “time, money, expertise, enthusiasm, inspiration, imagination, practical ideas, and active collaboration” to bring the action plan to life. NPHA concessioners have already demonstrated a willingness to partner with NPS on its Healthy Parks Healthy People initiative. NPHA helped raise health to a prominent level in the America’s Great Outdoors initiative, and played an active role in the spring 2011 Healthy Parks Healthy People meeting in the Golden Gate National Recreation Area. ARAMARK and Delaware North Companies have highlighted healthy, sustainable and creative meals at recent NPS events. NPS will host the second Healthy Parks Healthy People Global Congress and EXPO in Miami, Florida in the spring of 2014. The first Healthy Parks Healthy People Global Congress was hosted by Parks Victoria, Australia in 2010, and spawned the global movement. Captain Higgins is available at charles_higgins@nps.gov. Americans have dramatically changed their priorities since 2008 when considering the trade-offs between economic growth and environmental protection. Americans showed a strong preference for environmental protection as recently as 2007 in Gallup’s national surveys. But those priorities flipped in 2009, and pro-economy attitudes have soared. Gallup found the widest margin in nearly 30 years between Americans’ prioritizing economic growth or environmental protection in its 2011 polling. Americans have given the environment higher priority since 1984, when Gallup first asked respondents to prioritize either economic growth or environmental protection. Americans overall favored the environment over the economy by a better than 2-to-1 margin (67% to 28%) in Gallup’s 2000 Environment poll. All major demographic subgroups – which distinguish characteristics like age, race, gender, political affiliation, education and socio-economic background – were strongly pro-environment at that time. Americans began prioritizing the economy over the environment when the economic downturn began in 2008, and the Gallup poll in 2009 was the first to show a preference for economic growth. The 2011 poll emphasized a dramatic shift towards a pro-economy position in all major demographic subgroups, but the greatest shifts have come from those on the political right. Conservatives prioritized the environment over the economy by a 29 point margin in 2000, but prioritized the economy over the environment by 48 points in 2011 – a total shift of 77 points in 11 years. Liberals prioritized the environment by 52 points in 2000, and by 20 points in 2011, a shift of 32 points in the same time frame. While the shift varies with political ideology, the trend toward favoring the importance of the economy is marked for all Americans. There is a much larger political difference on the issues of the environment and the economy in the public today than in 2000. Click here to see Gallup data from 2011. Data from 2010 and 2009 are here and here. A new Common Sense Media study shows media devices have an increasingly large impact on the way even young children experience the world and receive information. The study, titled Zero to Eight: Children’s Media Use in America, continues and expands upon a series of studies originated by the Kaiser Family Foundation in 2003. The report has some startling information. Half of all children 0-8 years old have access to mobile devices at home, and 68% of children in that age demographic use a computer at least once a week. Almost all children (93%) have at least one TV set at home, 72% have a computer and two-thirds have a video game player. And while TV continues to dominate children’s media use, digital media use in children is on the rise. About half of all children ages 0-8 live in homes where there is access to some type of new media device, and 38% of children have used a cell phone, iPod, or tablet to play games or watch videos. But once children are in the 5- to 8-year-old range, the study shows that half (52%) have used these devices at one time or another. The study shows that media are a critical and growing presence in young children’s lives, and that media use starts young and grows quickly. Recreation interests must explore ways to use this media link to encourage young children and their families to explore the outdoors. Click here to download the research study. A combination of factors, including Congressional interest in spurring employment, has given new momentum to legislative efforts to enact a new national surface transportation law. Although many details remain unclear – and may be shaped by the recommendations of the "budget supercommittee" expected next week – it now appears that funding for at least two years will be at or above SAFETEA-LU levels and that passage of a new two- or six- year bill could occur prior to the expiration of SAFETEA-LU in March 2012. The Senate Environment and Public Works Committee cleared a two-year transportation bill for Senate floor action on November 9. The bill approved the elimination of key stand-alone recreation programs, including Transportation Enhancements, Scenic Byways, Recreational Trails and Safe Routes to School. These programs would be part of a consolidation of 90 programs down to 30, and would have to compete with one another for funding. Advocates are actively looking for ways to protect these key programs from severe funding constraints or even de facto elimination. The bill would also provide $300 million per year for federal land roads (with $260 million for the National Park Service and Fish and Wildlife Service combined). Federal access roads would receive $250 million per year. The House Transportation and Infrastructure Committee is expected to mark up a counterpart version of a multi-year transportation bill in the next few weeks. Surface transportation updates will be available on the American Recreation Coalition website here. Partners Outdoors meetings have been held annually since 1992 and draw recreation leaders from the public, private and nonprofit sectors to discuss relevant issues and challenges. The 2012 session will focus on delivering quality recreation experiences on public lands and waters during a period of budgetary constraint. 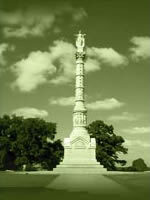 The meeting will be held in Williamsburg, Virginia on January 8-11, 2012. Among the topics of discussion will be the role of recreation fees for federal agencies – especially in light of the expiration of the Federal Lands Recreation Enhancement Act (FLREA) in late 2014. FLREA provides recreation fee retention authority for most federal agencies. Participants will also review and assess innovative partnership efforts underway involving federal, state and local agencies and private sector partners – both for-profit and nonprofit. Dan Ashe, Director of the U.S. Fish and Wildlife Service, will be among the federal leaders participating. The meeting will feature a presentation by the Federal Recreation Fee Interagency Working Group on the current recreation fee program – and lessons learned. Participation in the event is limited to 125 persons and is by invitation only. For more information, please contact Catherine Ahern at cahern@funoutdoors.com. President Barack Obama signed the bipartisan Ski Area Recreational Opportunity Enhancement Act into law on November 7, 2011. The law amends the National Forest Ski Area Permit Act of 1986 and will allow ski areas to provide expanded recreation opportunities during summer months. One hundred twenty-one ski areas now operate on public lands. The passage of the bill will allow ski area communities to attract visitors year-round, creating jobs and supporting local economies. Ski areas will expand summer activities like zip lining, mountain biking, hiking, leading to expanded hospitality opportunities and more. The law's proponents say that it will create 600 extra jobs and is expected to bring in an additional $40 million to local communities in direct spending. Secretary of the Interior Ken Salazar will speak at the RVIA National RV Trade Show in Louisville, Kentucky on November 29. Secretary Salazar has long been a supporter of outdoor and recreation interests. His words at this month’s show will demonstrate his longstanding commitment to encouraging visitors to parks and other recreation areas. Secretary Salazar is a principal leader of the America's Great Outdoors (AGO) initiative, and his efforts are creating opportunities for hospitality and recreation interests across the country. The Department of the Interior recently released the AGO Fifty-State Report, which announces 100 priority projects as joint efforts of federal agencies and state governors. A number of these projects involve expanded and improved camping and other recreation opportunities sure to attract visitors to parks and other recreation areas. Secretary Salazar understands the impact recreation interests have on the American economy. He knows RV design, manufacturing, sales and service create American jobs, as do the campgrounds and other public sites that draw RVers out to see America. And he knows that supporting interests like RVing is good for parks. Secretary Salazar showcased the Winnebago Via at the Forum on Stimulating Economic Vitality and Resource Conservation at the Department of the Interior in September 2009 to support park visitation. That forum helped spark his fee-free parks days in 2009, 2010, 2011 and 2012. The AGO Fifty-State Report can be downloaded here. For more information or to send questions/comments, please email jmitchell@funoutdoors.com. To unsubscribe, please send an email to jmitchell@funoutdoors.com with the subject "NPHA Unsubscribe."